The Chelsea man’s move to Old Trafford moves ever closer. 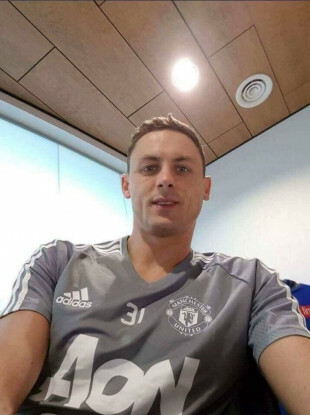 This image of Matic surfaced online over the weekend. Nemanja Matic has completed his medical ahead of a move to Manchester United according to the Manchester Evening News. The report comes after a picture of the 28-year old in a United training top appeared online on Sunday, and appeared to confirm his squad number as 31. The Chelsea midfielder has been a long-term target for the Old Trafford outfit and was set to join the club in 2014 but opted for Chelsea instead. Catalan paper Sport is reporting that Neymar is not only moving closer to a €222 million move from Barcelona to PSG, but is actively trying to bring his potential replacement, Philippe Coutinho, with him. The striker apparently spent most of his stay in US bombarding the Liverpool playmaker with Whatsapp messages asking his fellow Brazilian to join him in the French capital. If Barca’s move for Coutinho falls through, the Express is reporting that they will turn their attention to Mesut Ozil. The Arsenal man will set the La Liga side back nearly €60 million if they can’t reach a deal with Liverpool for Coutinho. Everton midfielder Ross Barkley has been told to lower his wage demands if he wants to join Tottenham according to the Daily Mirror. The 23-year old turned down €134,000 to stay with the Toffees but Spurs have said they are unwilling to match that amount. Riyad Mahrez will have a medical with Roma after the Italian giants returned to Leicester with a €35 million bid. The Giallorossi already had two bids rejected but it appears that the third time’s the charm. Premier League newcomers Fulham made quite the splash on this day in 2001 when they followed up the signing of Steed Malbranque with goalkeeper Edwin van der Sar in the space of 24 hours. Van der Sar felt humiliated at Juventus where he was forced to train with the youth team following the signing of Gianluigi Buffon from Parma the previous month. The timing of the €7.8 million deal could not have worked out better for then-Fulham boss Jean Tigana who had been chasing Coventry’s Marcus Hedman. “I am happy and relieved to have signed for Fulham,” Van der Sar said at the time. Van der Sar made 127 appearances for Fulham during his four years in London with his most memorable performance coming in 2005 when he saved two penalties from Aston Villa’s Juan Pablo Angel in a 1-1 draw. Three months later he signed for Manchester United where he went on to win four Premier League titles, two League Cups, a Club World Cup and, of course, a Champions League title in 2008. Email “Matic medical completed, Neymar tries to woo Coutinho, and all of today's transfer gossip”. Feedback on “Matic medical completed, Neymar tries to woo Coutinho, and all of today's transfer gossip”.